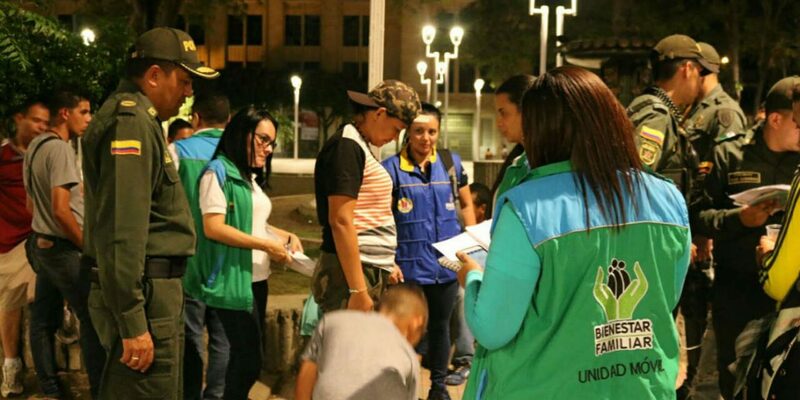 Colombian authorities and Venezuelan lawmakers are trying to find a home for 22 minors from Venezuela who were found without parents in the Colombian border city Cucuta. Lawmakers from the Venezuelan Tachira state will meet with officials from the Colombian Institute of Family Welfare (ICBF) to investigate whether family members in Venezuela can be take care of them. Deputy Sergio Vergara said the state government is investigating the origins and conditions of the abandoned children. “Without knowing the reasons for which the parents had left them to their luck, we want to know whether they have family in Venezuela and if there is any possibility that those family members can take charge of them,” Vergara said. Colombian President Juan Manuel Santos made the minors’ tragedy public when announcing new security measures for the border earlier this month. “This is a tragedy,” said Santos, who scolded his Venezuelan counterpart, Nicolas Maduro, for the mass exodus from the neighboring country and the humanitarian crisis that has come with it. “These are a results of your policies … and it is the result of your refusal to accept humanitarian aid that’s been offered to you in every form,” Santos said in Cucuta last week. Twenty-two children who were abandoned in Cucuta, the largest city on the border, are now in surrogate homes while officials investigate the whereabouts of their parents and family. “Independent of nationality, Colombian or Venezuelan, for all the conventions signed and the agreements we have with the neighboring country, the duty of the ICBF is to protect and take care of these children,” ICFB director Karen Abundinen said. According to the ICBF, 2,423 Venezuelan migrant children under five years old have been attended to in child development centers, community homes, and children’s homes. The ICBF also attended 256 children and teens aged 6 to 17 through its Generations with Wellness program. Venezuela’s hyperinflation and shortages of food and medicine caused a wave of migrants to leave the country last year. Over 30,000 Venezuelans are estimated to cross the border into Cucuta every day. According to the migration authority, over 200,000 Venezuelans crossed the border illegally last year, creating a humanitarian emergency in many of Colombia’s cities.